In 1907, a group of Peninsula residents met and decided their growing community should have the facilities of a local bank. The nearest bank was over an hour away in Port Clinton Ohio. The Marblehead Banking Company of Marblehead Ohio was organized as a result of this meeting and a charter was granted by the State Banking Department of Ohio on March 6, 1907. The first stockholders meeting was held on May 11, 1907, where Louis St. Marie was elected the bank's first President. Mr. St. Marie served in this capacity for 26 years and was succeeded by George B. Ward in 1933. Ervin L. Mutach took over as President in 1954 and held that position for 32 years before Clifford A. Wallon was appointed in 1986. David B. King succeeded Mr. Wallon in 1992. The Bank's current President, William Tuttamore succeeded Mr. King in 2011. Peter J. Schwager was appointed as assistant Vice President/Loan officer as well in 2011. The Marblehead Bank Company (the word "Company" was officially dropped in 1960) began its operations in 1907 in the St. Marie Building, which now is occupied by Starcher Enterprises. In 1957, the bank celebrated its 50th anniversary by moving into a new facility across the street from the original building. The new structure was of ultra modernistic design but kept a touch of local color by having a limestone face and one limestone interior wall. In addition, the bank featured four teller windows, a night depository, ample parking, and Ottawa County's first drive up teller window. Although remodeled several times, the original 1957 structure is still in use today. In 1971 a back addition was added and in 1977 a modern, two-lane drive up, was installed. The biggest renovation took place in 1987, the banks 80th anniversary year, when the building was remodeled to its present look. The limestone walls were retained and the bank's ''signature'' oak and leaded glass lobby doors were installed. Although only minor changes have been made to the building since 1987, The Marblehead Bank did open their first walk up ATM in 1995. In 1997, the bank celebrated its 90th anniversary by opening Danbury Township's first branch bank at 259 S. Bridge Rd. (SR 269) with the peninsula's only drive up ATM. 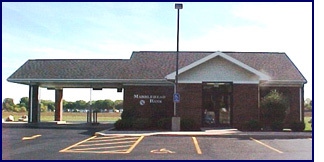 On April 5, 2000, The Marblehead Bank opened a limited service branch at Otterbein North Shore Retirement Community. In 2015 a loan production office was opened in Lakeside Ohio with Friday and Saturday hours in the summer months. The Marblehead Bank has grown in assets from approximately $25,000 in 1907 to about $45,000,000 in 2015. Since June of 1990, the bank has been annually awarded Bauer Financial Reports ''Five Star Rating''. Five Stars is Bauer's highest rating and indicates the bank is one of the safest in the United States. 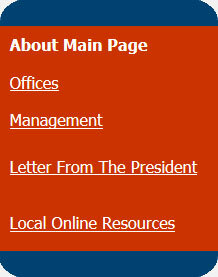 The local bank has served its surrounding communities since 1907 and remains a strong, independent, community bank. The Marblehead Bank is a member of the Federal Deposit Insurance Corporation (FDIC) and, as it's history indicates, truly is "A safe harbor for your financial needs".